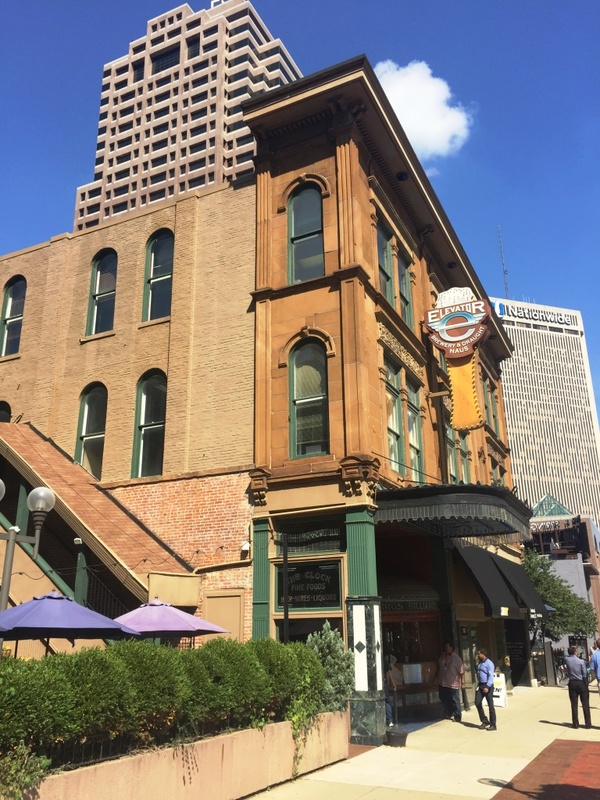 Although I was only in Columbus for a day trip, I still found time for a visit to a local brewpub. 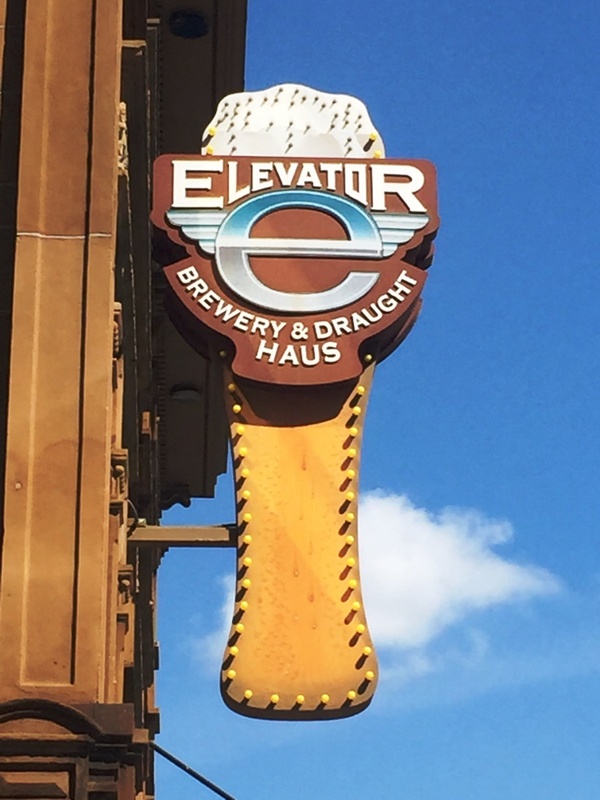 My meeting was in downtown Columbus, just a couple of blocks away from Elevator Brewery & Draught Haus. I also had a small glass of Pinch Hit Pilsner, a classic European-style Pilsner, because the server brought it to me by mistake. I enjoyed the three IPAs on the menu, but my favorite was Mogabi, the hoppy wheat beer. After my flight, I had a 12-ounce glass of Mogabi as my dessert. The beer was excellent, and so was the food. I started with an order of pork-stuffed Pot Stickers, served in a spicy broth made with the Nut Brown Ale. With my taste buds well-stoked, I had a Honey Habanero Chicken sandwich with Cajun fries on the side. Dee-licious! 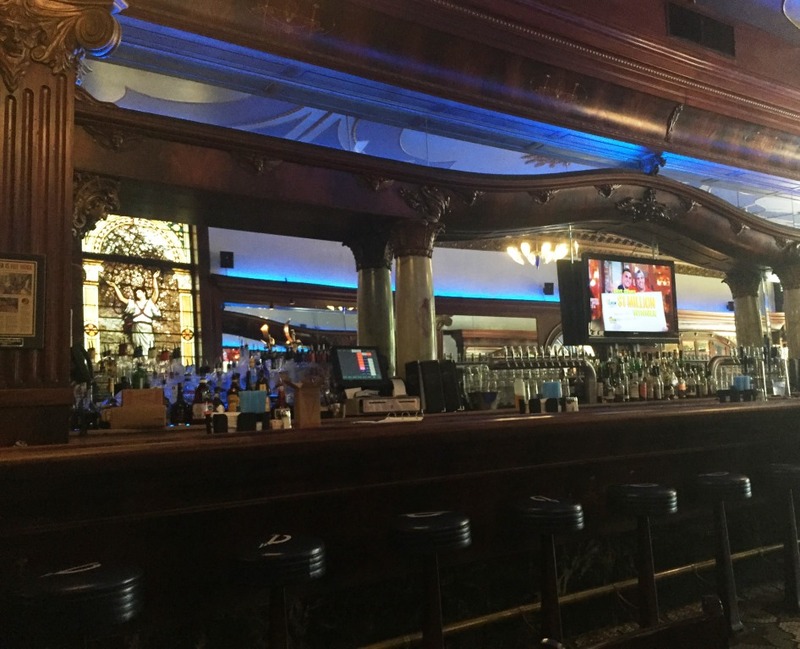 I wish I had time to pull up a stool at the gorgeous wooden bar and stay longer. 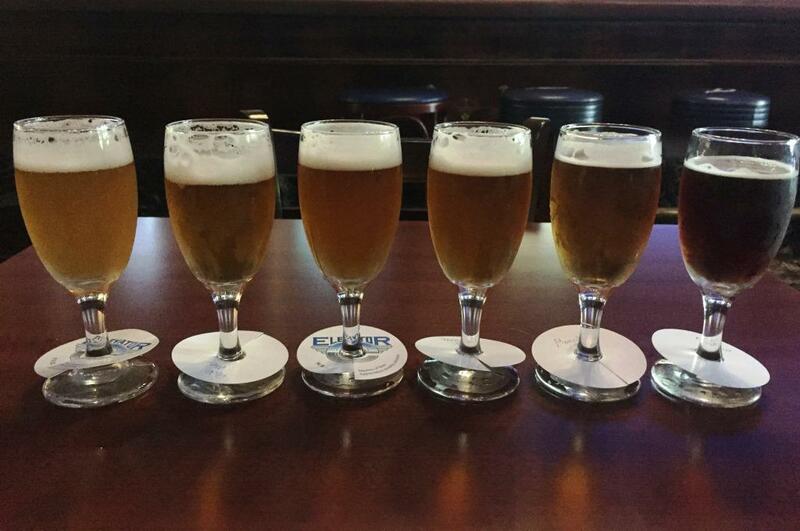 The local beer sampling didn’t end at Elevator. 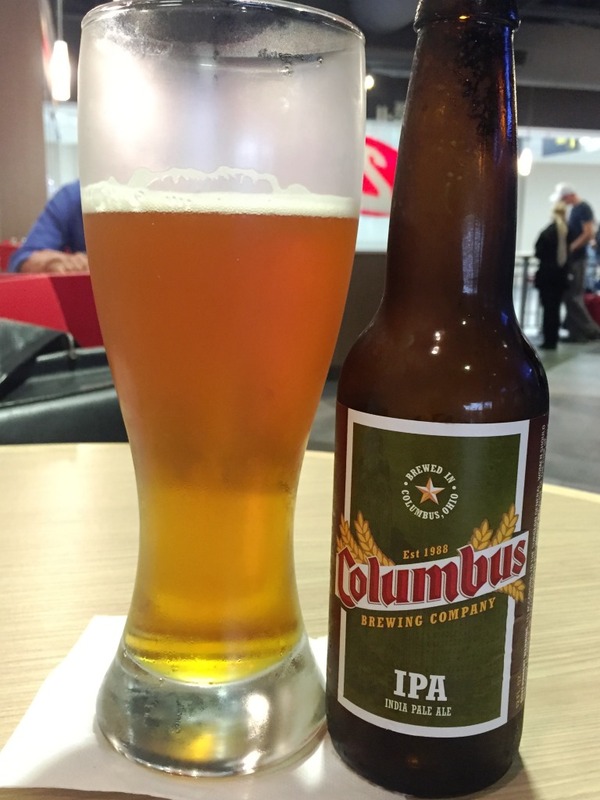 On my way out of town, I grabbed a Columbus brew at the airport – an IPA from Columbus Brewing Company (6.5%). This beautiful, pale orange hoppy IPA paired perfectly with my Buffalo Chicken Flatbread.